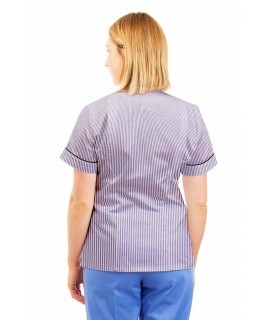 As an integral part of any nurse’s uniform, we have paid great attention to the design, detail and manufacture of our range of nursing trousers and pants. Made from the same long-lasting and hard-wearing material as our scrubs, lab coats and nursing tunics, our nursing trousers are extremely durable and will offer fantastic value over time – especially when compared to many of the generic alternatives available in retail stores. We offer two styles of pants: trousers with a subtle zip finish or an alternative option that has a more practical and flexible elasticated waist (TR03). Both styles are available in sizes 6 – 22 and have been created with comfort and the needs of a long working day in mind. Style hasn’t been forgotten about either though as our trousers are tailored with a subtle bootleg finish and include side pockets with either choice. The real benefit of shopping online with Medco.ie is that you can order your coloured scrubs and trousers with different specifications within the same order. Our scrubs and trousers are also not matching sets – giving you the freedom to select whatever size or custom changes you need while having a work uniform that both fits and looks well to wear.